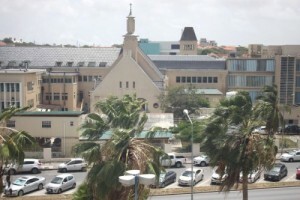 WILLEMSTAD - According to the chairman of the Association of Medical Specialists Curaçao, Alexander Saleh, the drastic increase in costs for medical treatment abroad is due to the enormous tight budget of the St. Elizabeth Hospital (SEHOS). Due to a shortage of materials such as a defective MRI machine or lack of nurses in, for example, the intensive care, certain medical interventions cannot be performed here on the island. As a consequence, the hospital is required to send patients to other countries for medical attention. Saleh claims that twenty million guilders are required to provide SEHOS the possibility to purchase new medical machines and the training of nursing staff. According to Saleh, with this investment, it will be beneficial for the government in the long run.